Eight Video Music Award nominations aren't enough to knock the chip off Eminem's shoulder. 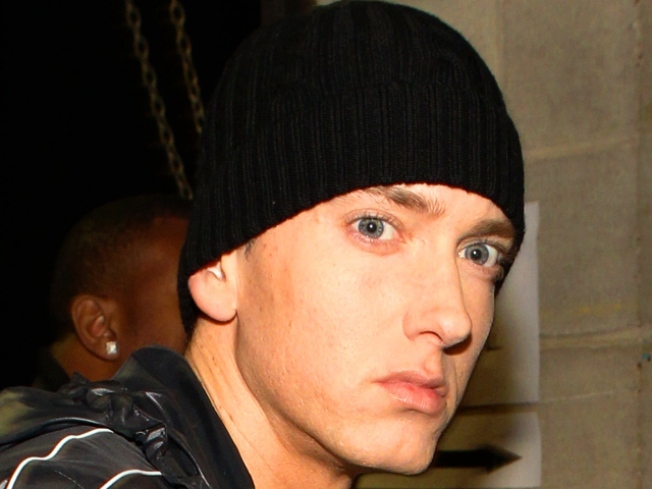 The rapper, whose “Recovery” album has held the No. 1spot on the Billboard 200 chart for five straight weeks, vowed not to "be nice about it" when he shows up at MTV's 2010 VMAs next month. Eminem’s “Not Afraid” video is up for “Video of the Year” and “Best Male Video.” He is also competing against himself in the “Best Hip-Hop Video” category with “Not Afraid” and “Forever,” a collaboration he did with Lil Wayne, Kanye West, and Drake. In all, Eminem got more nominations than any other male artists, yet he still feels snubbed. “I mean, I’ll be there but don’t expect me to be nice about it,” he groused. Lady Gaga is also going head-to-head with Eminem for the “Video of the Year” with her “Bad Romance” and “Telephone” videos. It's the first time a female artist has been nominated for two different videos in this category. She also made history with her 13 overall nominations, the most ever received by any artist in a single year. Gaga, unlike Eminem, did not feel short-changed. The show will air live from Los Angeles on September 12.